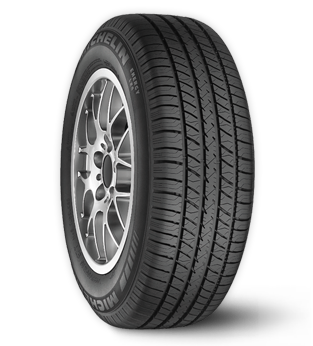 Traditionally used on american passenger cars the Michelin LX4 has recently begun to show up across the pond in the U.K hoping to land itself a number of original equipments on passenger vehicles for the European market. With OEM on Toyotas,Lincoln's and Chevy's, it looks set to continue it's success over in the U.K in 2014. A great long lasting passenger car tyre with great fuel efficiency and handling, with incredibly low noise emissions for a tyre of this durability.